The Los Angeles teachers’ union and school district failed to reach an agreement these past days. Teachers rejected the last offer that was made to them from the nation’s second-largest school district. Teachers from Los Angeles Unified School District have set to go on strike Monday, Jan. 14 to have their voices be heard. It is unclear on how long it will last, since the strike of 1989 lasted nine days. According to USA Today, teachers are going on strike because they want an increase in salary, lower class size, less standardized testing, and more money for counselors, nurses, and librarians. LA Unified Schools, led by Superintendent Austin Beutner, has declared that they cannot meet all the demands from United Teachers Los Angeles or else they would go bankrupt. Since they could not come to an agreement, teachers have decided to go on with their plans of striking on Monday. LAUSD schools will be open for all students to attend. 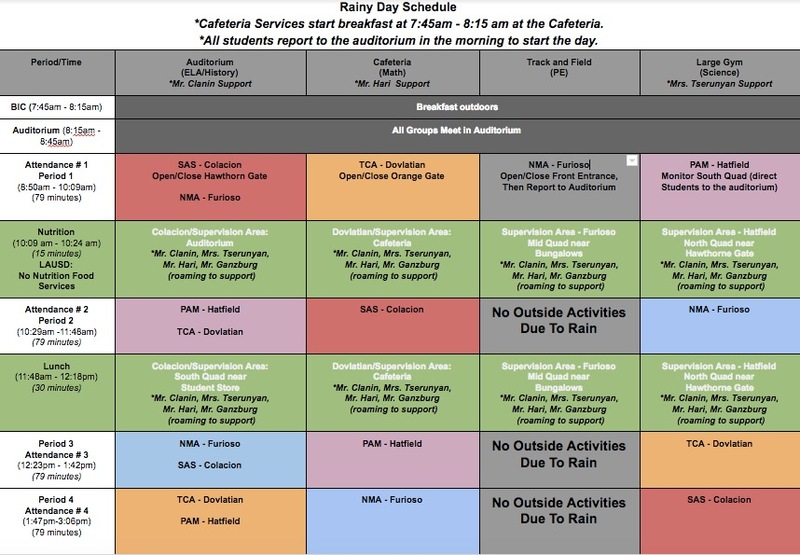 The district has let parents know that students are expected to go like any other day. They will be offered breakfast and lunch and have instructional time. However, things won’t be the same without teachers. Although the strike has not started it has already started to have an impact on students schedules. Students in Hollywood will have a different schedule than they normally do. They will have a special four-period block schedule and be divided by SLC. Throughout the day, each SLC will take turns in being placed in the gym, auditorium, cafeteria, and track and field. Jaimelee Belisle, a senior from the New Media Academy said, “They’re too long and how can they teach if everyone is learning something different.” The teacher strike will leave an impact on many people. However, teachers want their voices to be heard and will go through with this despite the rainy days ahead.